SubSite posted a Thickness Test and Design Reference. He designed this as reference when design something in CAD to get a better understanding / feeling for the actual thickness in real life. 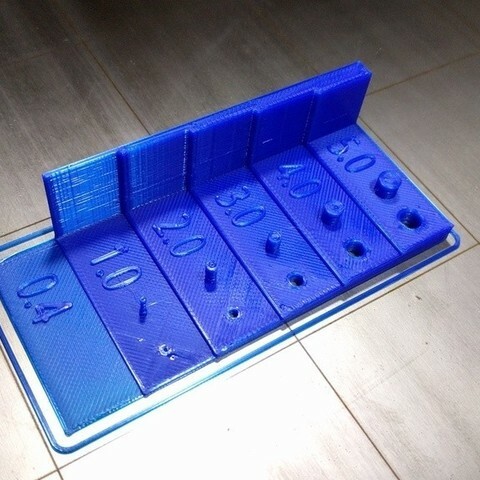 I liked the idea and made a version that has 0.2mm layer height multiples, being 0.4, 1.0, 2.0, 3.0, 4.0 and 5.0 mm. Also added a few pillars and holes as additional references in the range of 1.0 till 5.0 mm. Handy to have lying around near your PC as a reference when drawing something.